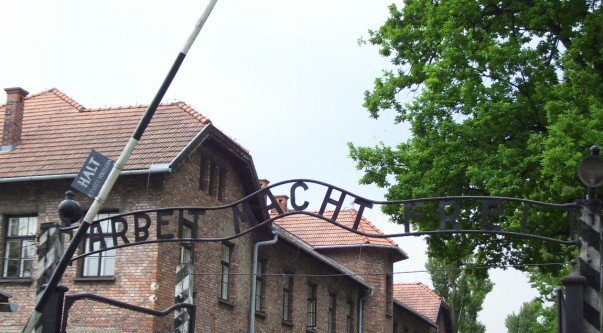 “Arbeit Macht Frei” hangs over the entrance to Auschwitz. It means work makes free. 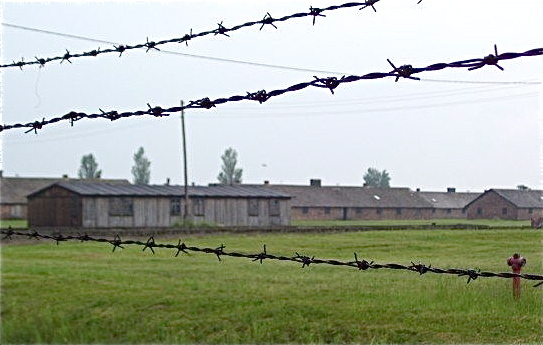 Etta James croons over my laptop speakers as I thumb through pictures I took during a group trip to several concentration camps in Poland almost eight years ago. Seventy years separate us from January 1945, when Soviets freed prisoners from Auschwitz, a death-camp-turned-museum that borders the Polish town, Oświęcim. More than one million people–Jews, homosexuals, gypsies, political rebels–died at Auschwitz and neighboring Auschwitz II-Birkenau. The world is changed since World War II. The phrase, “never forget” has permeated our consciousness. Exterminating a people group as a pretext for invading another country hasn’t worked either. But the nations are still finding reasons to invade other sovereign nations and to build there. We decry the deliberate slaughter of millions of people in history and ignore the death of innocents in bombings meant to root out the enemy today. This, too, is dissonant and weird. January 27 marked International Holocaust Remembrance Day. Truly, let’s never forget. And in remembering, let’s not repeat history’s sins. Below are a few articles I’ve been reading this week to remember.